Flour Mills As A Recreational Site? As was proven at Alta Mill, the site of a flour mill could provide a diversion to everyday life. 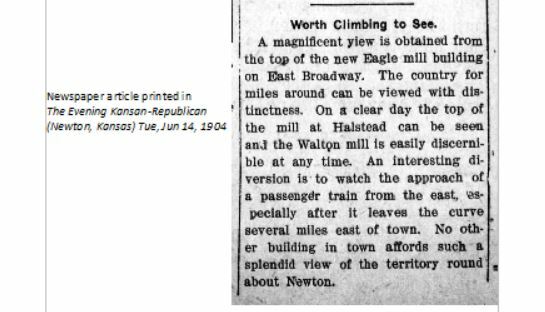 However, the newspaper writer got a bit too creative with the idea of climbing to the top of a mill to do some sightseeing. With the dangers of moving machinery and busy workers bustling about, this was not an activity to encourage.